AMD announced today that Apple has selected their world renowned ATI Radeon graphics solutions for the new range of Apple iMac and Apple Mac Pro Tower. ATI Radeon Graphics Solutions will offer amazing power and performance as the default configuration component for the new iMac and Mac Pro tower which will be released very soon. The 1GB of GDDR5 memory featured in the high-performing ATI Radeon HD5770 enables blistering fast Mac Pro graphics technology, which is ideal for motion graphics, 3D modeling, rendering and animation. 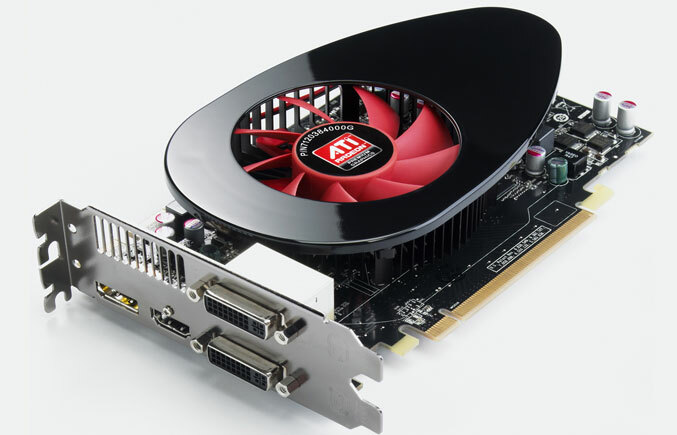 Consumers can purchase an upgrade to the ATI Radeon HD 5870 graphics solution for even more demanding tasks. The AMD ATI Radeon graphics solutions also provide rich graphics performance, thanks to which life-like gaming experiences while playing high definition content are made possible. The ATI Radeon HD 4670 graphics cards are going to be available in the twenty-two inch iMac, while the ATI Radeon HD5650 graphics cards are going to be featured in the new twenty-two and twenty-seven inch iMacs. The twenty-seven inch iMacs are also going to be equipped with the ATI Radeon HD 5750 graphics cards.